Where does the time fly to? 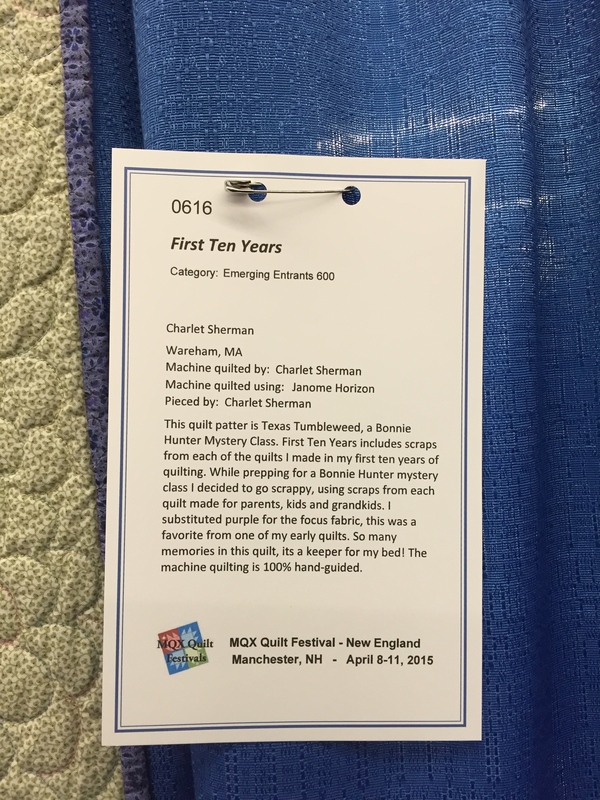 As you can see from earlier posts, I’ve just returned from an exciting few days of classes and viewing at the April MQX show in Manchester, NH–with friend Gail Galloway-Nicholson. 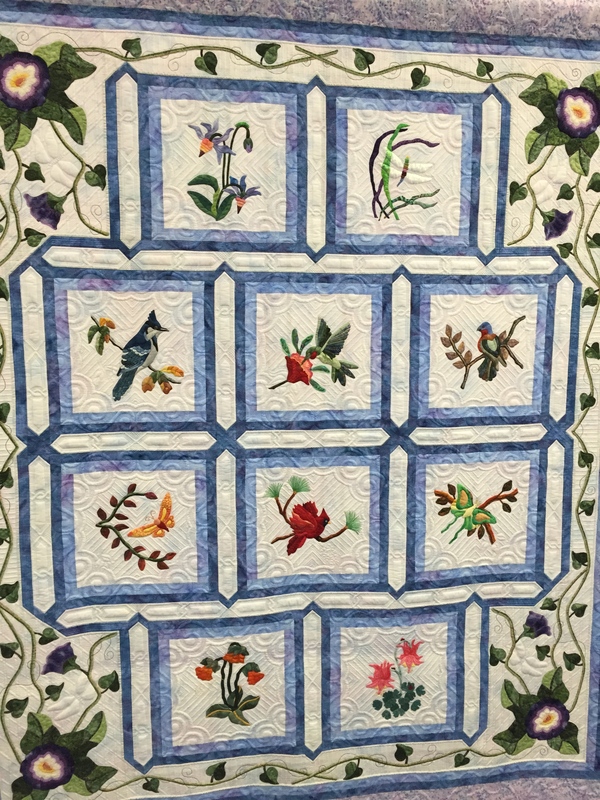 Here’s our favorite quilt from this show–and I’m sorry that I did not get the quilter’s name. 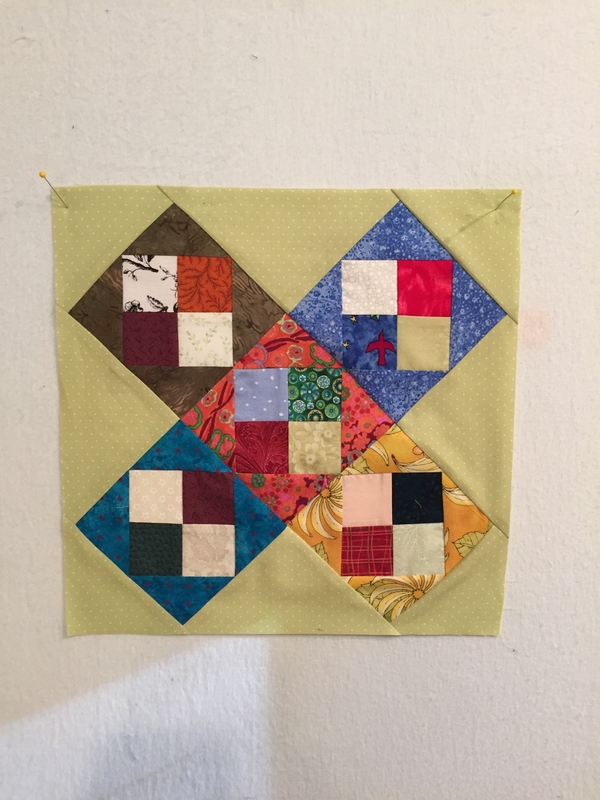 I’m working on the Coastal Quilter’s UFO challenge–due in May–so I’m making these blocks as a kind of leader/ender project at the moment. Mainely Tipping Points 48: Is Dr. Russell Blaylock a Quack? Is Dr. Russell Blaylock a Quack? On the basis of a Wiki page, which is anonymously written, a Facebook page on my news feed discussing Dr. Blaylock was removed by a FB friend yesterday without allowing the benign discussion taking place to go forward to its conclusion—which amounts to silencing and censorship, which means a refusal to dig deeper into the issue at hand to see what science actually says, which means a policing of the status quo, which means fear is present. Well, that’s something I’ve been researching and writing about for the past five years or so. And, living, since my husband fell into the hands of “science-based” medicine practices during a time when the oversight boards for prostate cancer were saying that doing nothing was the best course to take since the treatments did not affect the outcome. I will go to my grave believing that the treatments did affect the outcome in that they hastened John’s death. How could they not since they assaulted his body in countless ways. It never had a chance. I am sympathetic with our local doctors, most of whom are caring people who wanted to make a difference for John. The problem is that their tool box did not contain what John needed, so they just recommended the tools they had, regardless of the shift in the science. These doctors built their careers on these tools—such a shift threatened their ability to support themselves. That’s a grave place to be in. What do we know about Dr. Russell Blaylock? His own web site details his medical credentials (http://www.russellblaylockmd.com/). I do not doubt them since they would have long since been debunked if he were not telling the truth. You can go there for the whole list of his medical credentials. The pertinent information is that Dr. Blaylock is a board certified neurosurgeon who practiced for 25 years before he retired. He worked with the eminent neurosurgeon Dr. Ludwig Kempe. Together they developed the transcallosal removal of intraventricular tumors, which he claims is still used today, and the ventriculolymphatic shunt in treatment of hydrocephalus. Their personal relationship continues to this day. A turning point for Dr. Blaylock came when he started using “high-intensity nutritional supplementation in craniocerebral trauma patients” which “met with great success.” Eventually, Blaylock retired in order to spend more time studying and researching nutrition and healing with nutrition. In that regard Blaylock is part of the current and growing movement which seeks to understand the connections between foods and human health. Some stars in this arena are Dr. Mary Enig (fats), Dr. Natasha Campbell-McBride (GAPS), Dr. Joseph Mercola (amazing general blog), Dr. Kaayla T. Daniels (soy), Dr. William Davis (WHEAT BELLY), Dr. Chris Masterjohn (vitamins A, D, and K), Michael Pollen, Sally Fallon Morell, all the scientists now working on the integrity of the gut and gut health and its connections to behavior, and so forth. Blaylock’s work in this arena led to The Weston A. Price Foundation giving him their Integrity in Science Award in 2004. Dr. Blaylock is on the editorial staffs of the Journal of American Physicians and Surgeons and of the Journal of the American Nutraceutical Association. He is on the board of Fluoride. He is, or was if he’s retired from there, a visiting professor in the department of biological sciences at Belhaven College in Jackson, Mississippi—a conservative Christian college for those of you who think you are dealing with a liberal. His web site lists his publications and his three books—the first being EXCITOTOXINS: THE TASTE THAT KILLS. (Aspartame is an excitotoxin.) It makes sense to me that Blaylock’s interest in the impact of excitotoxins on the brain lines up with the fact that he was a practicing neurosurgeon. Is this a “star” resume? I do not know, medically speaking. It is the resume of a working neurosurgeon of twenty-five years who got interested in the relationship of healing and food nutrition and acted on it. It is the resume of someone who went on to study nutrition, to put himself in the nutritional arena with his associations, and to write about nutrition. So, where does he begin to fall afoul of the Wiki author of his page? The following list lies at the juncture of where many folks are asking “where’s the science?”—vaccines, aspartame, mercury in dental amalgams, fluoride, and aluminum cookware. Vaccines: Would it surprise you to know that there have been NO LONG TERM gold-standard studies on the efficacy of vaccines? That renders all we “know” about vaccines in the correlation camp. There is not solid cause and effect scientific data in this country. None. Period. Would it surprise you to know that many scientists are now thinking that smallpox was tamed by sanitation and that polio may have been caused by DDT? Would it surprise you to know that there is a government organization that pays off parents of children who have been harmed by vaccines? Or that you can’t sue a vaccine maker if you or your child is harmed? Recently, two young women died after a Gardasil vaccine. Researchers examined their brain tissues and discovered that the vaccine had breached the blood-brain barrier, which in turn triggered the fatal autoimmune response that killed the girls—which vaccines are not supposed to do (Pharmaceut Reg Affairs 2012, S12:001). What if other vaccines are making this leap? Could that account for the undeniable vaccine damage in children? Leslie Mannookian’s documentary THE GREATER GOOD addresses the lack of science in the vaccine debates. It is being shown all over the country in many venues, including to medical personnel. I, for one, am going to see this film, which I think is available online, as soon as possible. Fluoride: I wrote three essays on this blog (Tipping Points Essays 34-36) that attempted to summarize the book THE CASE AGAINST FLUORIDE—written by three senior, well-established scientists with impeccable biographies in chemistry, toxicology, medical biophysics, and biological sciences. There never was any science supporting putting fluoride in the water. The most recent mandated government-sponsored assessment raised dozens of red flags about fluoride. It was the first panel that contained nonbiased scientists. The dose isn’t controllable, and even the American Dental Association warns not to feed infants formula made with fluoridated tap water. Studies from all over the world show that fluoride is dangerous: it harms bones and affects IQ in developing infants. Countries that do not fluoridate do not have worse cavity rates than the U.S. does. The stronger correlation with healthy teeth is good diet. Aspartame: Aspartame has, famously, never undergone third-party independent and objective assessment. Industry supplies the “proof” of safety and the government (with staff assessment by actual scientists saying no about aspartame) allowed its use. That’s a nasty, nasty story—and I covered it in Tipping Points Essay No. 19 on this blog. The approval was a political decision, not a scientific one. If you go to www.snopes to check on claims that aspartame is dangerous, you will see that the story is “false” and you will see a letter written by a government staffer claiming it was tested. Don’t you believe that because the studies were all industry produced. That’s the kind of corrupt system our government is running now, and we have got to get the foxes out of the regulatory henhouses and put in some laws with teeth if we want our government to actually protect us. Aluminum cookware: Aluminum is a toxic metal. If you cook with it or use a lot of aluminum foil, it will reside in your body. Our bodies have enough environmental burdens without having to cope with aluminum toxicity. I don’t use it any more—either cookware or foil. Parchment paper works just as well in most cases. So, you decide about Dr. Blaylock. He’s not a saint. He’s got quirks—like most of us he is a complex figure, not a cartoon all bad/all good character. He’s asking “where’s the science” behind a number of mainstream medical practices and recommendations that he (and I, after researching them) believe are quite dangerous. He’s looking for ways to effect healing by giving the body the healthy nutrient dense food it requires. The response from the mainstream—as it almost always is—is to demonize him as a quack. Devra Davis, a premier scientist, described this industry-driven process brilliantly in THE SECRET HISTORY OF THE WAR ON CANCER. And make no mistake about it, too much of science and medicine today is industry driven, with little relationship to actual science and a huge relationship to profit making. With demonization, Blaylock joins any number of folks who have said “where’s the science” and been attacked and smeared in an attempt to erase what he’s asking as it falls into the realm of “an inconvenient truth.” Dr. Mary Enig, for instance, tried to tell us about the danger of trans fats and about the healthy nature of high-quality saturated fats. She lost all her research money and was demonized and not published for years. But, she was right all along. Follow the money. Vaccines, aspartame, and fluoride are big, big money. Under our economic system, it is entirely logical that industry would fight to continue making that money and that it enslaves us all to its purpose, doctors included. Demonization is how a system of cultural power maintains the status quo. But that status quo is not ultimately healthy for you. Today, one in two people will get cancer. That’s 50 percent. That’s a plague. So, think twice, investigate, learn how to find and read reputable sources, and choose not to participate in practices that will make you sick. Ultimately, this issue isn’t about Blaylock personally. It’s about “where’s the science?” It’s about your health. I am back from Charleston, SC. I tried to post to the blog on the ipad from there, and the interface was just too clunky. Friend Giovanna McCarthy told me there was an app for “WordPress,” so I downloaded that a few days ago, but have not yet tried it out. I LOVE the ipad. It’s so easy and light when traveling. So, the blog below was written on April 23. Than most of them I give away. The grandchildren have quite a few of them. There were the baby quilts. Then the “big bed” quilts. 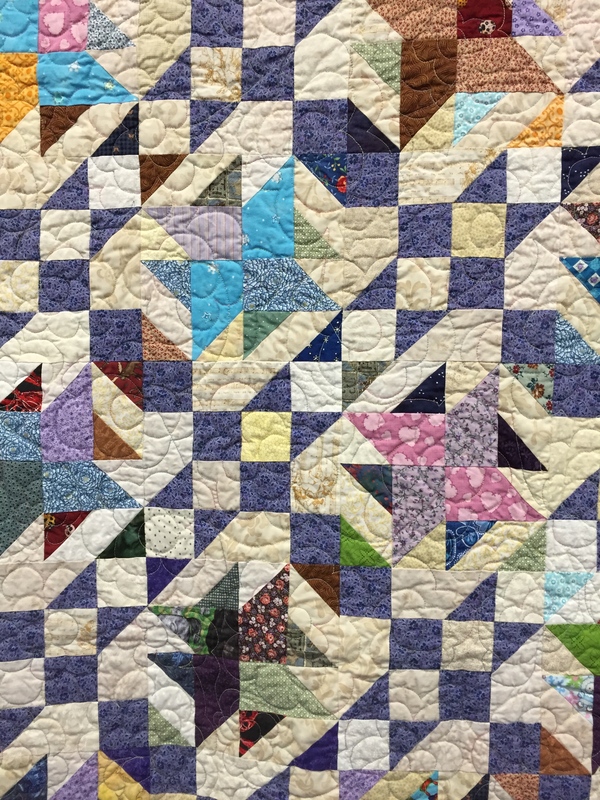 And, in a few cases, a wall quilt. 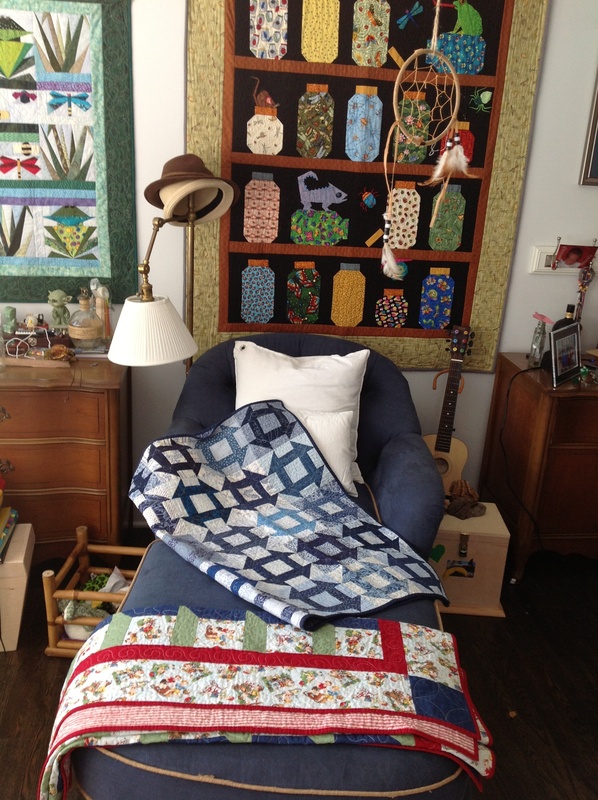 Imagine my delight to see some of the quilts in use in a bedroom that can sleep four of the kiddos in bunks, freeing up a bedroom for a guest–like me! 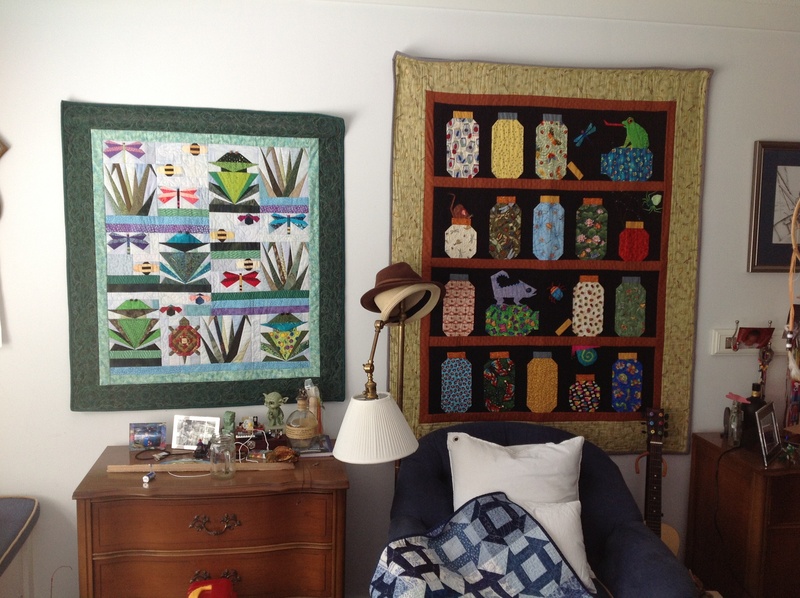 I love both of those wall quilts and had such fun making them. Both came from now-famous patterns. The one on the left is called “Over By the Pond” if I’m not mistaken. The “jar” block is pretty standard, but I’m sure I bought this pattern as a kit that came with the buggy fabrics. I wanted my kiddos to be deeply connected to nature, and I love and am fascinated with bugs. 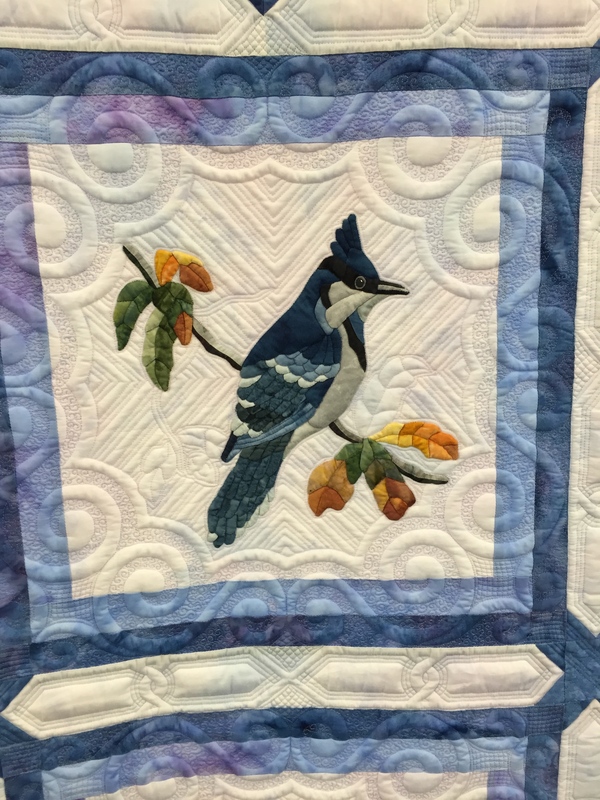 The little blue churn dash quilt was made for my first grandchild, Bowen. It has some Maine blueberry fabrics in it. The red-bound quilt was also Bowen’s, his “big bed” quilt. 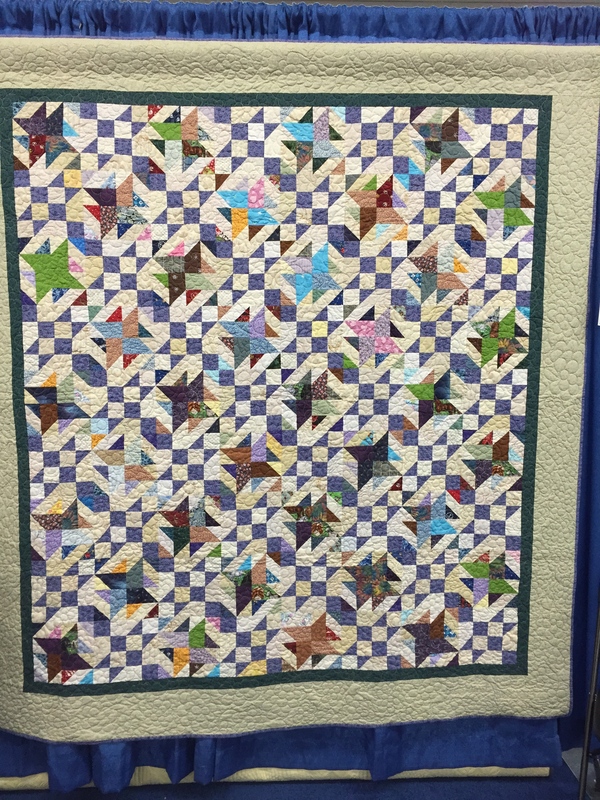 All these children have special quilts, not just Bowen. As established in Part I, my soy expert is Kaayla T. Daniel, PhD, CCN, the author of THE WHOLE SOY STORY: THE DARK SIDE OF AMERICA’S FAVORITE HEALTH FOOD (2005). Daniel’s credentials, experience, and extensive research on soy make her an expert. Part II explains how soy, which has significantly potent chemicals that can harm human health, got into the human food chain. Part III discusses the traditional soy products and how they are different from industrialized soy products. All quotes are from THE WHOLE SOY STORY. The American soy industry could not make much money from “the good old soys”—traditionally made, fermented miso, tempeh, natto, and soy sauce. Not enough people consumed these soy products. So, the soy industry tried, first, to produce and sell soy products made from the whole soy bean: soy nuts and soy nut butter, soy grits, and soy flour. Roasted soy nuts have to be heavily flavored with sugar, salt, and additives like MSG to be palatable, which is also true for soy nut butter. With a high oil component, soy grits go rancid easily; harbor the many dangerous, unmediated chemicals found in soy; and taste “beany” (79-84). Soy flour proved to be more profitable, but difficult to handle. Again, the exposed oils turn rancid easily, and the taste is bitter. Nevertheless, soy flour can replace from one-fourth to one-third of regular flour before affecting taste. Soy flour is used as an egg and nonfat milk solids substitute. Soy flour can “moisten the final product, helping retain the illusion of freshness.” So, soy flour saves “bakers bundles of money.” Note that small amounts of soy flour do not have to be labeled, so most commercial breads contain it (81). These whole-bean soy products did not address the burgeoning problem of how to turn the waste products from soy-bean oil manufacture into profit. So the soy industry developed second-generation products. Soy “analogues” attempt to replace existing and familiar dairy and meat products. Taste is improved, but “combining better taste with a health claim” works even better to offset consumer resistance. Daniel’s book, however, debunks the soy industry’s claims that industrialized soy products are healthy. Soy milk and the analogue products derived from it (soy cheese, puddings, ice creams, yogurts, cottage cheese, and whipped cream), together with the health claims for soy, prove to be more profitable. But, the industrial production process for soy milk destroys key nutrients and may produce a toxin, lysinoalanine. Taste, however, continues to be a problem. Soy milk tastes terrible and has a bitter aftertaste. Thus, even “plain” soy milk is sweetened. Additionally, the soy industry fortifies soy milk with “calcium, vitamin D and other vitamins and minerals inadequately represented in soybeans” and stabilizes the brew with emulsifiers. The supplements, though, are “cheap, mass-produced products,” to include Vitamin D2, which “has been linked to hyperactivity, coronary heart disease and allergic reactions.” Canola oil is added to low-fat soymilks, which are made with soy protein isolate (SPI), to provide creaminess. And a few years back, titanium oxide, a form of white paint, was an additive used to improve color and texture (65-69). The soy products made from soy milk are thickened with carrageenan, a water-soluble polymer or gum used as a fat substitute. Recent studies show that carrageenan “can cause ulcerations and malignancies in the gastrointestinal tract of animals” (69). Soy cheeses “can be artificially flavored to resemble American cheese, mozzarella, cheddar, Monterey jack and Parmesan, and they’re increasingly used by fast food operations such as Pizza Hut.” But, “many brands of soy cheeses contain dangerous partially hydrogenated fats” or trans fats, “with the highest levels in the brands that taste the best. The main ingredient of Tofutti brand soy cheese, for example, is water, followed by partially hydrogenated soybean oil” (69-70). Soy ice creams are mostly water, sugar, oil, soy protein isolate, and, sometimes, tofu. Tofutti’s first three ingredients are “water, white sugar and corn oil, followed by soy protein isolate (SPI) and sometimes tofu. Brown sugar and high fructose corn syrup make up most of the rest.” Soy Dream and Imagine “contain fewer ingredients,” but still “consist mainly of water, some form of sugar, soy and more sugar” (69-71). Soy protein becomes more “invisible” as industry begins legally inserting it silently into our food, including, at first, such items as “preformed hamburger patties, readymade meat loaves, spaghetti sauces and even some brands of fresh ground beef” (87). Now, textured soy protein (TSP), soy protein concentrate (SPC), soy protein isolate (SPI), hydrolyzed vegetable/soy protein (HVP/HSP), soy oil, soy margarine, and soy lecithin are put into our foods and into our food animals without any idea of what safe levels of consumption might be, considering that these foods carry elements that are toxic for humans. Let’s take a look at these industrial products. Textured soy protein (TSP) is made when defatted soy flour (the oil has been extracted) is forced through an extruder under conditions of such extreme heat and pressure– that the “structure of the soy protein is changed” (90). Soy protein concentrate (SPC) is made from defatted soy flakes (the oil has been extracted) and becomes an industrial component of soy analogues of other foods. It is best known for use in fake meats, but it “can replace almond paste in marzipan recipes, cream filling in chocolates, and numerous other ingredients” (92). Soy protein isolate (SPI) is made from defatted soy bean meal (the oil has been extracted). SPI is “mixed with nearly every food product sold in today’s stores-energy bars, muscle-man powders, breakfast shakes, burgers and hot dogs.” It is the main ingredient in soy infant formulas. Consuming SPI increases “requirements for vitamins E, K, D and B12” and a whole host of minerals. Its production takes place in chemical factories and takes a “complicated, high-tech procedure” that also produces “levels of toxins and carcinogens such as lysinoalanines and nitrosamines” (93). Soy oil production is “a complicated high-tech process that includes grinding, crushing and extracting, using high temperature, intense pressure and chemical solvents such as hexane. Free radicals are produced, which causes rancidity, so another “high-temperature refining, deodorizing and light hydrogenation (trans fats) is used (97). Soy oil margarine and shortening are made by hydrogenating soy oil, which makes it solid at room temperature and a trans fat. The compound is dyed yellow for margarine or bleached white for lard. Soy lecithin is, literally, “the sludge left after crude soy oil goes through a `degumming’ process. It is a waste product containing residues of solvents and pesticides.” It is used instead of eggs as an emulsifier to keep water and fat from separating (113-114). These industrial forms of soy “carry their baggage of phytates mostly intact, putting formula-fed infants, vegetarians and other high consumers of soybeans at risk for mineral deficiencies” (214). Unmediated soy can and does cause a host of health problems, as discussed earlier in this series. Takeaway message: if you are going to eat soy, eat the “good old soys” (miso, tempeh, natto, soy sauce) that have been mediated by traditional fermentation and eat those sparingly. Good luck finding traditionally made soy sauce. Do not eat the modern industrial soy products. Like all junk foods, they do not support health. Know that even with four essays, I have only scratched the surface what is explained in Daniel’s very important book. As established in Part I, my soy expert is Kaayla T. Daniel, PhD, CCN, the author of THE WHOLE SOY STORY: THE DARK SIDE OF AMERICA’S FAVORITE HEALTH FOOD (2005). Daniel’s credentials, experience, and extensive research on soy make her an expert. Throughout Asia, Daniel explains, traditionally fermented whole-bean soybean products–miso, tempeh, natto, and soy sauce, or the “good old soys”–are thought to be “digestive aids, potent medicines, powerful energizers, stamina builders and longevity elixirs” (47). Soybeans contain a dangerous set of chemicals that must be neutralized, and the only way to partially defang these chemicals is through traditional fermentation. Modern industrial methods have never accomplished this task and have, in fact, introduced new dangers. Note that tofu is not fermented. Traditional fermentation can take months or years to complete, and the results, writes Daniel, “bear little or no resemblance to the modern soybean products promoted by the soy industry and sold in the American grocery stores. Further, Asians simply do not eat any soybean products in great quantity. They are used in small amounts as condiments or seasonings, not as main courses, and rarely more than once a day. Even with the finest organic and perfectly prepared soybeans, the lesson is, `Less is more’ “(53). Daniel’s quick list illustrates what is at stake when eating untreated soybeans. Soy is one of the top eight allergens. Its goitrogens damage the thyroid. Its lectins cause red blood cells to clump together and may cause immune system reactions. Its oligosaccharides cause bloating and flatulence. Its oxalates prevent proper absorption of calcium and have been liked to kidney stones and a painful disease known as vulvodynia. Its phytates impair absorption of minerals such as zinc, iron, and calcium. Its isoflavones are phytoestrogens that act like hormones and affect the reproductive and nervous systems. Its protease inhibitors interfere with digestive enzymes, leading to gastric distress, poor protein digestion and an overworked pancreas. Its saponins bind with bile, which can lower cholesterol (not a good thing here) and can damage the intestinal lining (38-39). People use soy as a protein replacement strategy. But, writes Daniel, even “fermented soyfoods are not ideal sources of proteins.” Human bodies have “more than 50,000 types of proteins, all built from the building blocks known as amino acids. Nine of these amino acids are considered `essential’ for humans because we cannot manufacture them on our own and must obtain them from the diet. If the `essential’ amino acids are present in sufficient quantities, we can build the `non-essential’ amino acids. But if one or more are missing or low in quantity, the body will fail to synthesize many of the enzymes, antibodies and other proteins it needs” (153-154). Animal proteins (eggs, milk, fish, meat) contain a “ `complete’ set of the essential amino acids in desirable proportions.” Plant proteins are “incomplete” because they are “low in some of the essential amino acids.” Soybeans and other legumes are low methionine. And grains are low in lysine. Thus, in most traditional cultures, beans and rice are combined and served with small amounts of animal foods to insure sufficient protein intake. Soybeans are often fermented with a grain (50-51, 154). Daniel cautions that the practice of combining beans and grains to create a complete set of amino acids is vexed since how the food is cooked or industrially processed can affect the protein presence or availability—which gives rise to the statement that not all protein eaten is protein digested and used by the body. Regardless, it is important to understand that the Net Protein Utilization (NPU) of animal proteins is much higher than any of the plant proteins, and traditionally raised animal protein does not involve ingesting dangerous chemicals (50-51,154). So, what’s good about traditionally fermented soy products? The microorganisms and enzymes that form can help prevent disease and can impact food poisoning and dysentery. The products contain essential fatty acids (EFAs) in undamaged forms. [Organically grown soybeans are definitely preferable in that many pesticide and fertilizer chemicals accumulate in the fat portion” (173).] The products are almost never contaminated with aflatoxin—which has “been identified recently as a major problem in modern soy and peanut products” (49-52). Miso. Traditionally fermented miso takes from one to three years to make and is the most digestible (90 percent) fermented soy product. “During aging,” writes Daniel, the bean-rice or bean-barley nuggets turn to paste, while flavors and aromas develop. 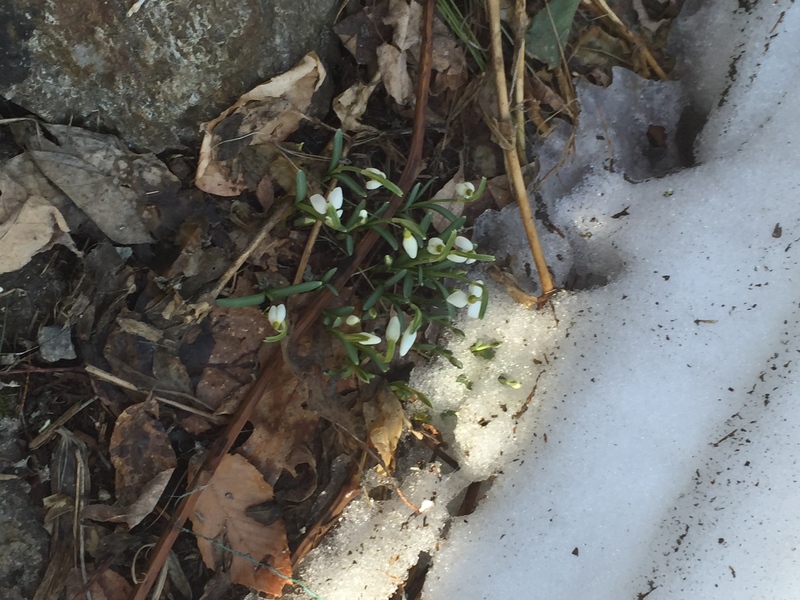 The process takes place at the natural temperature of its environment, slowing down in the winter and speeding up in the summer.” Hundreds of distinct varieties are produced, and none are ever pasteurized (54-55). American industry started producing pasteurized quick misos around 1960. These misos are “fermented for three to 21 days in temperature-controlled, heated environments. To improve flavor, aroma and appearance, sweeteners (usually sugar or caramel syrup), bleaches, sorbic acid preservative, food colorings and MSG are likely to be added (55-56). Daniel cautions that “the most common quick misos are dehydrated instant powders and dried soup mixes.” Heat drying deploys 482 degrees F heat, which kills everything, so the freeze drying method is preferred. Nevertheless, dried miso products contain many additives and are, in essence, fake foods. Tempeh. The traditional process for tempeh is much quicker than miso—it’s less than a week. During the fermentation period, numerous bacteria, yeast, and other microorganisms begin to proliferate on the inoculated, cooked whole beans (57). Daniel cautions that “news stories reporting high levels of vitamin B12 in fermented soyfoods—particularly in tempeh—are not usually accurate. The most common molds used to manufacture tempeh…produce analogues of B12, not the physiologically active forms. These analogues actually increase the body’s need for B12”(49). Natto. I’ve eaten natto in the home of a Japanese friend more than once. It’s bitter, slimy, smelly, and definitely an acquired taste. Natto is not commercially produced in America. Shoyu . Traditional Japanese soy sauce is fermented for six to eighteen months, using roasted soybeans, roasted cracked wheat, and mold spores. Tamari is an Americanized term for soy sauce signifying a supposed “natural” product. American soy sauce is a chemical brew made in two days or less using “automation, chemicals, preservatives, pasteurization, artificial colorings, sweeteners and flavor enhancers such as MSG” (58-59). American soy, cautions Daniel, may “also contain dangerous levels of chemicals”: chloropropanols, furanones (mutagenic to bacteria, causes DNA damage in lab tests), salsolinol (neurotoxin linked to DNA damage and chromosomal aberrations, Parkinson’s disease, and cancer), and ethyl carbamate (linked to cancer). Tofu. Tofu curd is precipitated from cooked whole beans. Daniel explains that the “unwanted components….concentrate in the soaking liquid…so they are reduced in quantity, but not completely eliminated” (72). Silken tofu is made by pouring thick soymilk or soy yogurt directly into a package along with a curdling agent. This tofu has “more of the unwanted antinutrients” (73). In 1999, Lon R. White, MD, a neuro-epidemiologist with the Pacific Health Institute in Honolulu announced results from his longitudinal study of 8,006 Japanese-American men and about 500 of their wives, each of whom ate two or more servings of tofu per week in midlife. Data showed these folks were “more likely to experience cognitive decline, senile dementia, and brain atrophy later in life than those who ate little or no tofu.” White thinks that soy isoflavones are impacting the area of the brain involved with learning and memory. For White, soy phytoestrogens are drugs, not nutrients (307-308). Here in Maine, traditionally fermented soy products can be found at local Co-ops or farmers’ markets. Part II of this series on Soy explores how soy got into the human food chain. As established in Part I, the expert I rely on for soy information is Kaayla T. Daniel, PhD, CCN, the author of THE WHOLE SOY STORY: THE DARK SIDE OF AMERICA’S FAVORITE HEALTH FOOD (2005). Daniel’s credentials show her to be an outstanding nutritionist and her extensive research on soy makes her an expert. All quotes are from this text. Soy is a powerhouse in terms of the potent chemicals its beans contain. For instance, soy is one of more than 300 plants that contain phytoestrogens, which stop reproduction. Yet soy is the only one of these plants humans eat. Besides phytoestrogens, soy contains many more powerful chemical components which are dangerous for humans unless they can be mediated in some way first. Indeed, the Food and Drug Administration (FDA) lists soy on its Poisonous Plant Database (31). It is true, Daniel writes, that the ancient Chinese “valued the soybean as a national treasure” and honored it with the name “ `the yellow jewel.’ “The soybean, though it is not a grain, is one of the Five Sacred Grains, alongside rice, millet, barley, and wheat. But, the ancient Chinese did not eat the soybean. They used it as a green manure to fix nitrogen in the soil (9). The Chinese began to eat soybeans “no earlier than about 2500 years ago.” They fermented soybeans as they “remain toxic after ordinary cooking….” Fermentation tames the trypsin inhibitor that causes bloating and gas. Miso paste, used to preserve meat and seafood, and soy sauce, the liquid produced in the production of miso, appeared first. Natto appeared around 1000 AD, and tempeh appeared “no earlier than the 1600s.” Thus, “claims that soybeans have been a major part of the Asian diet for more than 3000 years…are simply not true” (9-10). Soy moved to Japan with the Chinese missionary priests “sometime between 540 and 552 AD.” Japanese miso documentation first appears in 806 and 938 AD. Tofu, which is a precipitated product, not a fermented one, appears about the same time and is called “the meat without the bone.” Tofu “appeared regularly on monastery menus as an aid to spiritual development and sexual abstinence, a dietary strategy validated by recent studies showing that the plant-form of estrogens (called phytoestrogens) in soy can lower testosterone levels” (10-11). Tofu consumption spread “throughout China, Korea and Southeast Asia.” By 700 AD tofu was “accepted as a meat or fish replacement, at least when pork, seafood and other preferred sources were unaffordable or unavailable.” But, “except in areas of famine, tofu was served as a condiment, consumed in small amounts usually in fish broth, not as a main course.” In truth, Asians, including the Japanese who eat the most soy, don’t eat more than 1.5 percent of their diets in soy. And the Japanese, as has been shown in even recent studies, on average eat only about one tablespoon of soy a day (28). Plus, the types of soy Asians eat are old-fashioned products like miso and tempeh, not commercial soy in products like “soy sausages, soy burgers, chicken-like soy patties, TVP chili, tofu cheesecake, packaged soymilk, or other of the ingenious new soy products that have infiltrated the American marketplace” (12-13). Soybeans probably came to Indonesia from trade with southern China trade around 1000 AD. The Indonesians appear to have invented soy tempeh (fermented whole soy beans) as the “world’s earliest reference to tempeh manufacture occurs in the Serat Centini, a book published in 1815 on the orders of Sunan Sugih, Crown Prince of Central Java. Indonesian tempeh became “known as food for the poor, even though people of all classes continued to consume it” (13). Soy goes west as early as 17th century France, where soy sauce becomes a secret ingredient at court banquets. Ben Franklin sent soybeans to America in 1770, but soy remained “a little-known commodity…for more than a century.” It wasn’t until 1935 when soybeans were grown for food oil that its plantings “equaled those used for crop rotation”—to fix nitrogen in depleted soils (17). Early western soy proponents were John Harvey Kellogg, the breakfast cereal king; Artemy Alexis Horvath, PhD, who promoted soya flour in academic and popular fronts; Henry Ford, who thought soy plastics would be great in cars and who wore soybean-fiber ties to promote soy as a cloth; Adolf Hitler, who promoted whole-food vegetarianism; and Benito Mussolini, who wanted to make soy flour a “mandatory ingredient in the Italian staple polenta.” By the 1950s and 1960s, the Communist Party in the Soviet Union” pushed soy protein and soy margarines as the solution to low-cost feeding of the masses…” (18-20). The U.S. soy industry has claimed that Asians, especially the Japanese, eat a lot of soy and have better heart health and fewer cancers that do North Americans. But, as noted above, soy proponents in the west have had to admit that soy consumption in Asia is not as great as they advertised. Further, the famous claims that Okinawans enjoy longevity due to soy-rich vegan diets have been debunked, and Daniel covers this issue thoroughly. As with other Asians, Okinawans do eat small amounts of soy, but their diets include primarily meat, fish, and lard. There seems also to be a genetic factor involved in Okinawan longevity (15-16). And, as Sally Fallon Morell of The Weston A. Price Foundation notes in the introduction, the Japanese, who eat the most soy in Asia, and Asians in general, have higher rates of cancer of the esophagus, stomach, pancreas, and liver than do North Americans (5). What differs between how soy is viewed in the East and the West is that in the West soy “is a product of the industrial revolution—an opportunity for technologists to develop cheap meat substitutes, to find clever new ways to hide soy in familiar food products, to formulate soy-based pharmaceuticals, and to develop a plant-based, renewable resource that could replace petroleum-based plastics and fuels.” Even today, “very few soybeans are sold for whole food products,” so that “the `good old soys’ of Asia—miso, tempeh and natto—thrive only in niche markets.” The soy industry knows that “the big profits are not to be found in old-fashioned, funny-tasting foreign foods, but from splitting the `yellow jewel’ into two golden commodities—oil and protein” (21-22). Most soybean oil (97 percent in 1997), which is highly processed, goes into food products—salad and cooking oils, shortening, and margarine. The protein was at first fed to “animals, poultry and, more recently, fish farms.” But now, the soy industry “aggressively markets soy protein as a people feed as well”—so that “soy is now an ingredient in nearly every food sold at supermarkets and health food stores.” And, the soy industry profits from soy waste products, like soy lecithin (used as an emulsifier), “protease inhibitors (digestive distressers sold as cancer preventatives), and isoflavones (plant estrogens promoted as `safe’ hormone therapy, cholesterol reducers, and cancer cures”) (21-23). The soy industry has “Americanized soy around the globe”—running into trouble “only when Monsanto—the biotech bully boy”—pushed for acceptance of its genetically modified (GM) `Frankenstein’ soybeans” (27). China is “now the world’s largest importer of U.S. soybeans” (30). And, Asia is potentially a “huge market” for American-style imitation soy products (28).